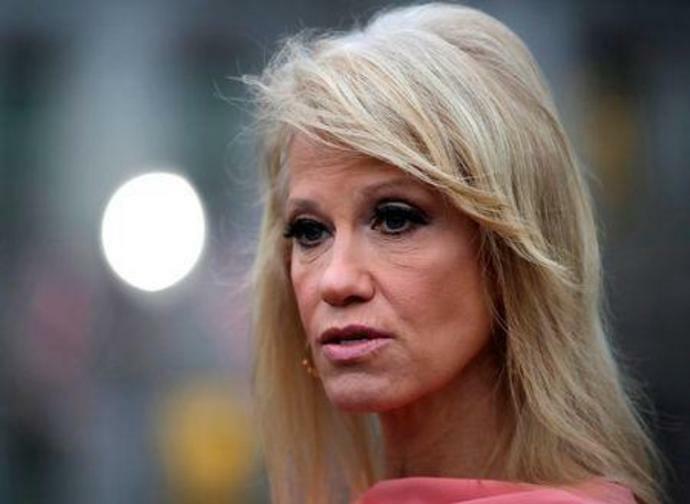 WASHINGTON (Reuters) - White House senior adviser Kellyanne Conway said she was assaulted at a Maryland restaurant last year by a woman who grabbed and shook her, an accusation the woman has denied, CNN reported on Friday. Conway said in an interview with CNN that the incident took place while she was dining out with her daughter at the Mexican restaurant Uncle Julio's in the Washington suburb of Bethesda, and that the woman grabbed her arms from behind and was "out of control." The accused woman, 63-year-old Mary Elizabeth Inabinett, disputed Conway's account, her lawyer told CNN, saying she did not assault the top White House staffer but expressed her personal opinions to a public figure in a public place. Inabinett faces state charges of second degree assault and disorderly conduct in an Oct. 14 incident, according to Maryland court records. Her lawyer, William Alden McDaniel, told CNN she will plead not guilty. The trial is scheduled for trial on March 29, the records showed. House Democrats were set to join a conference call at 5 p.m. Monday - their first time since Mueller&apos;s redacted report was released last week. Top congressional Democrats left the door open on Sunday to pursue the impeachment of U.S. President Donald Trump, but said they would first need to complete their own investigations into whether he obstructed justice in Special Counsel Robert Mueller's Russia probe. Democratic Party leaders have played down impeachment talk ahead of the 2020 presidential election, although prominent members of the party's progressive wing, including White House candidate Senator Elizabeth Warren, have called for the start of proceedings since the release of Mueller's report on Thursday. AMHERST, N.H. (AP) - Some Democratic contenders for president aren't saying whether they would re-open investigations into President Donald Trump if they were to oust him from the White House in 2020.